In the 1920s, talent agency Columbia Concerts Corporation (CCC) dominated the music industry. Under founder Arthur Judson, CCC managed and booked more than 100 conductors, musicians, and singers for concert and radio performances. Basically, if any of the big radio networks wanted top-shelf musicians to appear on their shows, they had to consult with Judson. That’s what NBC chief David Sarnoff did in 1927—he needed a lot of performers for programs on his new radio network. Judson thought he could demand any price because Sarnoff needed the talent so badly, but Sarnoff wouldn’t play ball, and walked away from Judson and CCC. Judson was outraged but also frustrated that he himself had botched the negotiations. Then he had an idea: If Sarnoff wouldn’t hire his acts, he’d start his own radio network…and stock it with his own clients! Judson felt sure that his performers could outshine any musicians found by NBC. Based on that promise, he and his business partners convinced 16 radio stations in the Northeast to join his network, which Judson wanted to call the United Independent Broadcasters Company (UIB). One problem: Judson didn’t have the money to run a radio network. So he used his contacts in the music industry and convinced Columbia Phonograph Company that exposure on radio would sell records—if they provided access to their artists and recorded music, UIB would promote Columbia. Judson was so hell-bent on getting Columbia on board that he renamed the network the Columbia Phonograph Broadcasting System (CPBS). Judson then bought a Brooklyn radio station, WABC, outright, mainly so the network could have a studio from which to broadcast. WABC became the CPBS headquarters and “flagship” station when the network went on the air on September 18, 1927. Before long, CPBS started running out of money; potential advertisers weren’t interested in doing business with a small, struggling operation. This forced Judson in 1928 to sell CPBS and WABC to a partnership led by William Paley, the 27-year-old son of Samuel Paley, head of La Palina cigar company. Paley immediately went after the biggest advertiser he knew—his father. It was a good match—when La Palina advertised on CPBS’s Philadelphia affiliate, their cigar sales skyrocketed. In January 1929, William Paley bought out his partners. For $400,000 (about $5 million today), Paley got what had grown to be a network of 22 affiliates and a payroll of 16 employees. He then changed the name of the company to the Columbia Broadcasting System, or CBS. By December he had extended the network to the West Coast and made mutually beneficial ad revenue sharing agreements with 70 stations, tripling the size of the CBS network and turning its finances around in under a year. Unlike NBC, which aired programs to get listeners to buy RCA-made radios, and to get radio stations to buy RCA-made signal transmitters, CBS’s business model under Paley was to make money by selling advertising on shows that attracted listeners. Paley and the other CBS brass scouted out promising new stars, such as Kate Smith, Bing Crosby, Al Jolson, and the comedy team of George Burns and Gracie Allen. Unfortunately, he couldn’t pay them as much as NBC could, so once they became popular, the stars fled to NBC. But by 1932, CBS had more affiliates than NBC. With the Great Depression in full swing and the clouds of war hanging over Europe in the mid-’30s, Paley predicted that Americans would soon want quality news. Turning down an offer from the Associated Press to license its news, Paley decided to build his own news bureau from scratch. One of the bureau’s first reporters in 1938: Edward R. Murrow. His live coverage of Nazi bombs falling on London, broadcast at great personal risk from the roof of a building, sealed CBS’s reputation as the network with on-the-spot news during World War II. Murrow and news director William L. Shirer put together a team that would define news well into the television era, including such future TV regulars as Howard K. Smith and Eric Sevareid. After World War II, CBS still couldn’t offer stars more money than NBC, but it figured out a loophole. 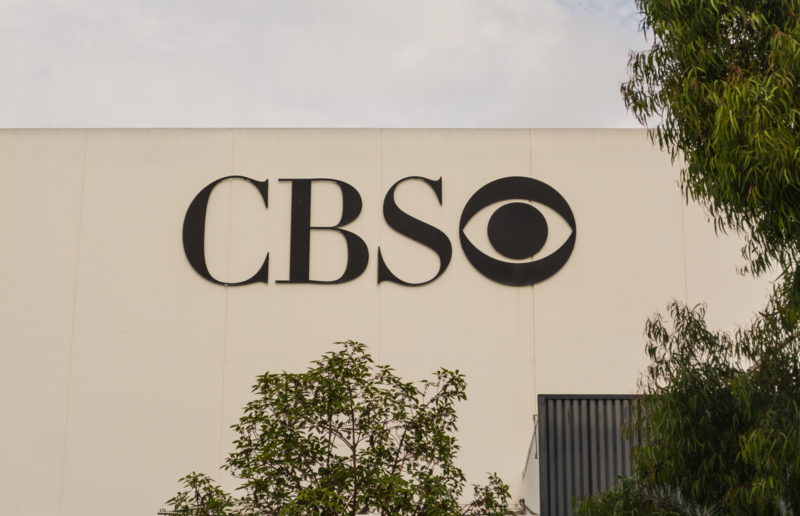 CBS offered lower salaries, along with payments for the “right to broadcast” the stars’ shows. Under the tax code, such a rights payment was considered a capital gain, which was taxed at a much lower rate than regular income tax (25 percent of capital gains versus 82 percent of income above $400,000). 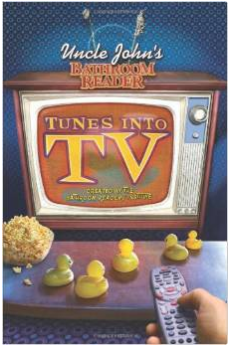 This started a stampede of stars to CBS, including Jack Benny, Burns and Allen (returning), and Edgar Bergen—just in time for the television era. CBS began experimental TV broadcasts in New York in 1939. They lasted for about an hour a day and reached the few hundred people in the area who had TV sets. The network definitely had to play catch-up with NBC, which had the advantage of being run by RCA, a technological and electronics firm. Paley purchased a research-and-development firm called Hytron Laboratories and set out not only to get programs on the air but to do what NBC hadn’t thought about yet: offering them in color. Ultimately, NBC and CBS both went on the air in New York in July 1941, both in black-and-white. NBC won the color battle, though. The system that its parent company, RCA, developed earned FCC approval because, when adopted, the signal required to transmit color was also compatible with black-and-white sets. The system developed by CBS’s Hytron Labs was not. So CBS was forced to adopt RCA/NBC’s technology. Well into the 1970s, whenever CBS broadcast a show in color—which was all of them by then—it had to pay a licensing fee to RCA…the parent company of its competitor.